Congratulations to "Liz", and "LibraryPat", the winners in Anne's giveaway. Liz, please contact us. We were unable to reach you via the email address provided. Thank you to all who participated! After a shipwreck, Nonie Rafferty washes up on the shore of Algiers, where the slave traders look to sell the pretty Irishwoman—or worse. She must come up with a tale to save herself—and fast—before anyone discovers the true reason she sailed to this misbegotten corner of the world, or the true reason she was wearing a strand of priceless pearls when she was rescued. Fortunately, the Dey’s mysterious necromancer appears willing to come to her aid, and what follows is a cat-and-mouse game of deception, attraction, and above all, redemption. Nonie stood, bedraggled—and certainly bedeviled—as she tried to avoid looking into the flames of the two fire-trays that illuminated the chamber, one on either side of the dais. Likes the dramatic, she concluded, as she gazed upon the Dey of Algiers, seated on his elaborate peacock chair. The Mughals were a superstitious bunch; perhaps it could be used to her advantage—if she managed to survive the night’s events, that was. The crackling flames illuminated the faces of the men who stood on either side of their leader; ruthless men, who served at the Dey’s pleasure in this particular circle of hell. One appeared to be minor official, and the other—the one who’d spoken to the Dey—was undoubtedly the Agha, who handled the Dey’s slave trade. A hard-eyed, dissipated man as befit his trade; and fleshy besides—that type were always wont to bleed overmuch, in her experience. And the tall gentleman who stood behind him would appear to be the famed necromancer—although she couldn’t be certain, having little experience with men of that stripe. He was dressed in a dark, long-sleeved djellaba and was smoking a thin pipe, looking mysterious and very much the part. Rather handsome, if you liked your men lean, and hawkish. He hadn’t spoken, but only observed dispassionately as the Agha took the lead in questioning her. She spread her hands. “I’ve no idea—and is it fair that they left me to fend for my poor self, I ask you? No, it is not; not a twinge of chivalry amongst them.” Indignant, she tossed her head, which was not well-advised; when wet, her fiery hair fell nearly to her waist, but as it dried, it gathered into a tangled mass of thick curls that now sprang from her head as though it had a life of its own—not to mention it was stiff and salty, from its recent immersion into the Bay of Algiers. 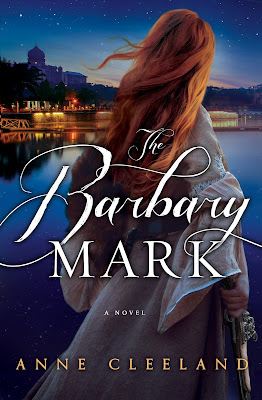 Anne is giving away an ecopy of THE BARBARY MARK to two lucky readers leaving a comment or email entry. Giveaway ends 11:59pm EST July 22nd. Please supply your email in the post. You may use spaces or full text for security. (ex. jsmith at gmail dot com) If you do not wish to supply your email, or have trouble posting, please email maureen@justromanticsuspense.com with a subject title of JRS GIVEAWAY to be entered in the current giveaway. Thanks so much for having me, Maureen! 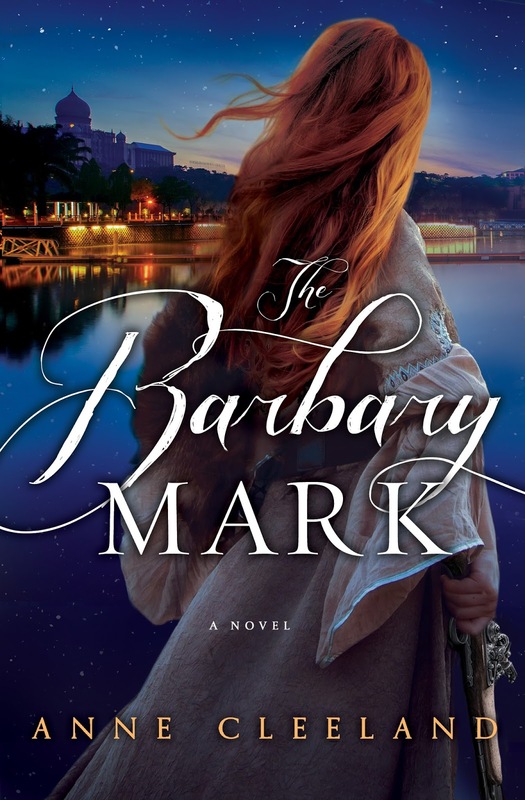 The first historical novel I read dealt with the Barbary Pirates. It was a good way for my high school American history teacher to get us interested in History. I am curious to follow the approach you have taken. Obviously it will be a bit different since yours is a romance, but details of time anyplace could compare. It will be interesting to watch the game play out between Nonie and her captors.